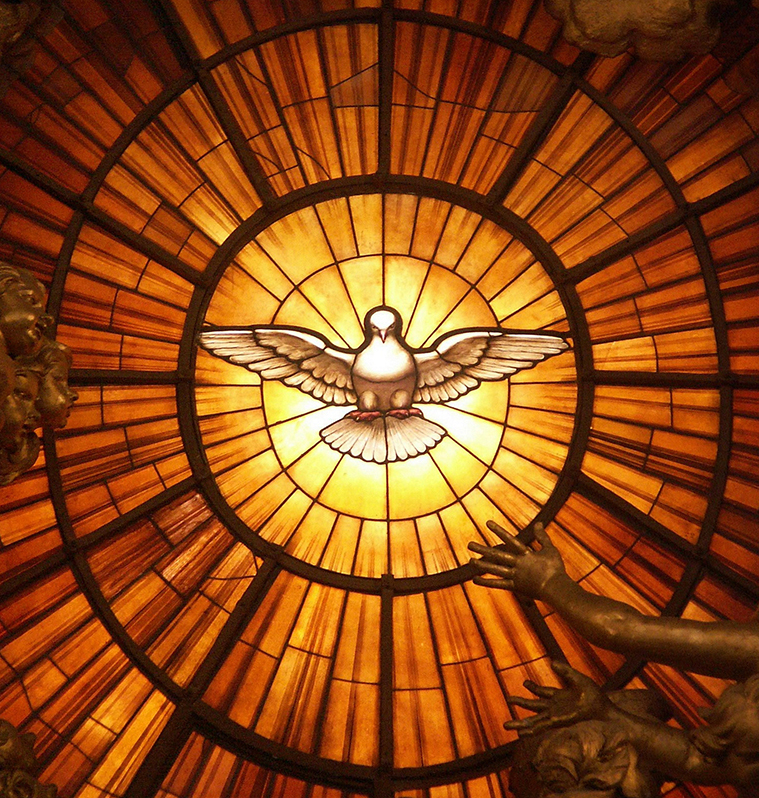 Pentecost Sunday, which marks the end of the Easter season, celebrates the descent of the Holy Spirit on the Apostles. Pentecost 2016 falls 50 days after Easter 2016, and ten days after the Ascension of Our Lord. What happens to the gifts we give, or are given? Some appear very quickly on Trade Me, unwanted, unappreciated. Some get broken the first time they’re used. Some are exchanged because the size is wrong or the colour’s not ‘my colour’. Some get returned unopened. Some make it through to be loved and treasured and shared. Gift-giving is an important social function. When the gift is sincere and accepted, both giver and receiver benefit. There is a mutual exchange and life is the winner. We feel good about being able to give; we feel honoured to be on the receiving end. The arrival of Spring is sometimes referred to as Winter’s gift to a world that has endured months of cold and dark. A baby’s arrival is seen as gifting a marriage with a family. Birthdays are recognised as moments to celebrate, to give and to receive thanks. Where there is freshness and newness there are gifts aplenty. Pentecost is the Church’s birthday. It is a gifting day for the People of God. Fifty days after Easter (the Jewish Passover) the apostles, gathered together ‘in one room’ and heard ‘what sounded like a powerful wind from heaven’. What appeared like ‘tongues of fire’ rested on them and ‘they were filled with the Holy Spirit’ [see Acts 2:1-11]. This coming of the Holy Spirit brought new life to those first disciples of Jesus and encouraged them to witness his presence and love to everyone. Wind and fire, elements of tremendous power almost impossible to control, are symbols that help our appreciation of the Holy Spirit as the life-force of the Church. Witnessed in the context of Pentecost, wind and fire speak of an unseen but very present energy able to push and prod and bring about actions that, left to ourselves, we could never conceive let alone achieve. Proclaimed in the Creed as the Giver of life, the Holy Spirit, as third Person of the Blessed Trinity, is the gift promised by Jesus – the gift that would remind the disciples of everything Jesus had told them, turn their sorrow into joy and transform their hesitation into an unstoppable torrent carrying the gift of faith into lives throughout the world. This same Spirit brings a treasure trove of gifts: wisdom, understanding, counsel, knowledge, courage, piety and a sense of wonder at the grandeur of God. St Paul [Galatians 5:22] spells out the fruit these gifts produce when put to use: love, joy, peace, patience, kindness, generosity, faithfulness, gentleness and self-control. And, he adds, there is no law against any of these! Who would send such gifts back to the giver? Who would ever consider putting any of them of Trade Me? These gifts are indispensable to a good, balanced and productive life. They invite us into a close partnership with one another and also indicate an important relationship between ourselves and the world around us. Pentecost climaxes the mission of Jesus and begins the mission of those who take his message seriously. He does not leave us orphans but gifts us with the Spirit that is the very heart of God. This is the gift par excellence that, in the words of the Canticle of Zechariah, gives ‘light to those in darkness, those who dwell in the shadow of death, and guides us into the way of peace’ [Luke 1:79].